Graeme has extensive legal and commercial experience, with particular expertise in the law of wills, probate and administration, inheritance law, deceased estate litigation and settling disputes. Graeme graduated from the UNSW with Honours and is admitted to the High Court of Australia and the Supreme Court of NSW. In addition to being appointed a Notary Public he is an accredited mediator and was an Arbitrator of the District Court and Local Courts of NSW. 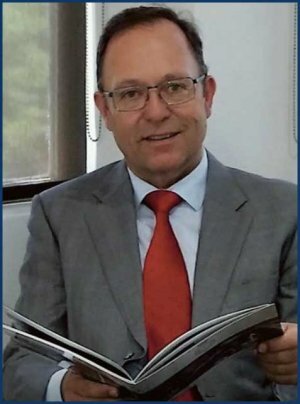 Graeme is a founding member of the City of Sydney Law Society and a member of the Law Society of New South Wales and regularly appears in the Supreme Court of NSW in contested wills and estate cases. Graeme leads the team at Heckenberg Lawyers. He has over 25 years’ experience in representing estates and advising claimants. He provides unbiased, cost-effective and practical advice and achieves the best possible outcome for his clients. Blaise joined Heckenberg Lawyers prior to her admission as a solicitor of the Supreme Court of NSW in 2014, and has since practised exclusively in the law of wills, probate and administration, inheritance law, and contested estates. Blaise is experienced in applications for grants of probate, letters of administration and reseals, and dealing with the various issues that may arise in the administration of complex estates. She is also experienced in estate planning, contested estate litigation, family provision applications and probate suits, acting for both estates and claimants. Blaise has a professional approach and the ability to empathise with each of our clients’ individual requirements and circumstances. Georgia joined Heckenberg Lawyers as a paralegal and was admitted as a solicitor of the Supreme Court of NSW in 2017. She graduated with a Bachelor of Arts and a Bachelor of Laws (Honours) from Macquarie University. Georgia has a keen interest in wills and estates law and has experience in probate and administration and contested estate litigation. Sydney Probate Lawyers have practice experience that you can trust, contact Graeme and his team today for an appointment 02 9221 2779 Sydney Office.